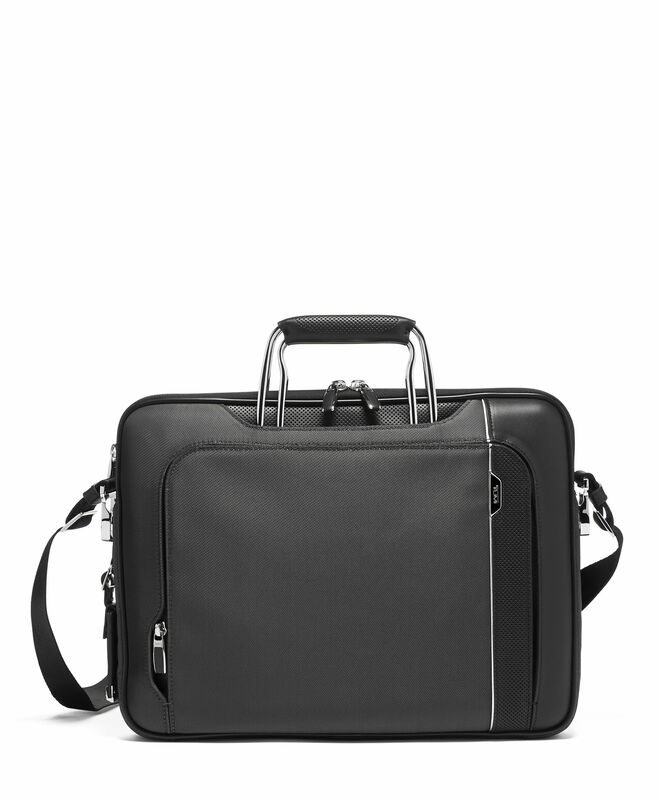 A sleek, modern style that’s also spacious, our Hannover Slim Brief fits your laptop, papers, and other essential accessories. There’s a quick-access pocket for your phone, a handy open center compartment, and the leather-wrapped handles retract whenusing the carrying strap. The Arriv collection takes its cues from automotive design, with high-polish chrome details, elegant curves, and sleek magnetic zippers. Our ultra-modern pieces make world-class business partners and travel companions.